Built from a foundation of love (literally), Lovely has been cranking out baked goods, hosting events, and growing since 2007. Started by Bob and Gina Hartwig, once culinary colleagues, now eternal lovebirds, Lovely began as a small bake shop in Wicker Park and has now grown to be apart of a three-store-empire. Serving breakfast, lunch, dessert items, and Ipsento daily, Lovely pretty much makes everything in house. With items like hand rolled croissants, homemade granola, tuna melts, french macaroons, muffins, bacon chocolate chip cookies, all made fresh, it’s incredibly hard to choose just one, let alone a favorite. 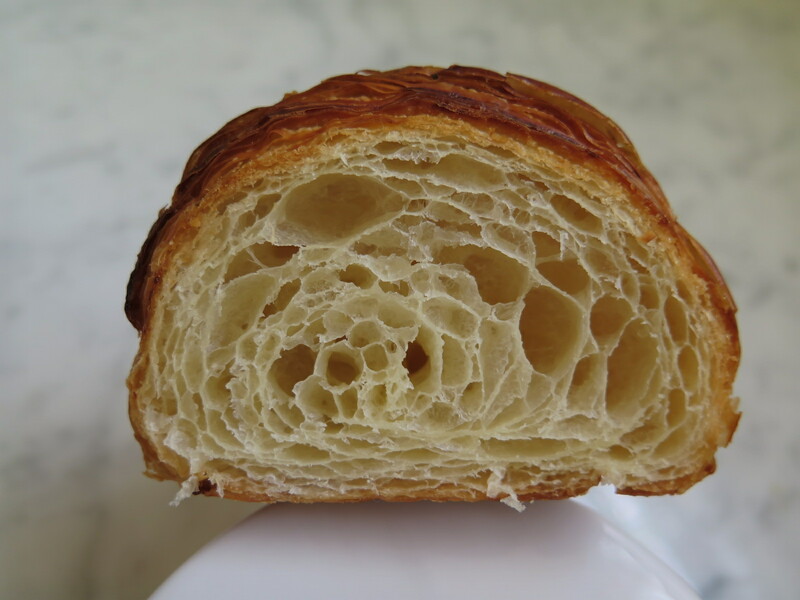 Although ordering a plain croissant would be more than tasty, try one of the flavored types for a real boost of flavor. 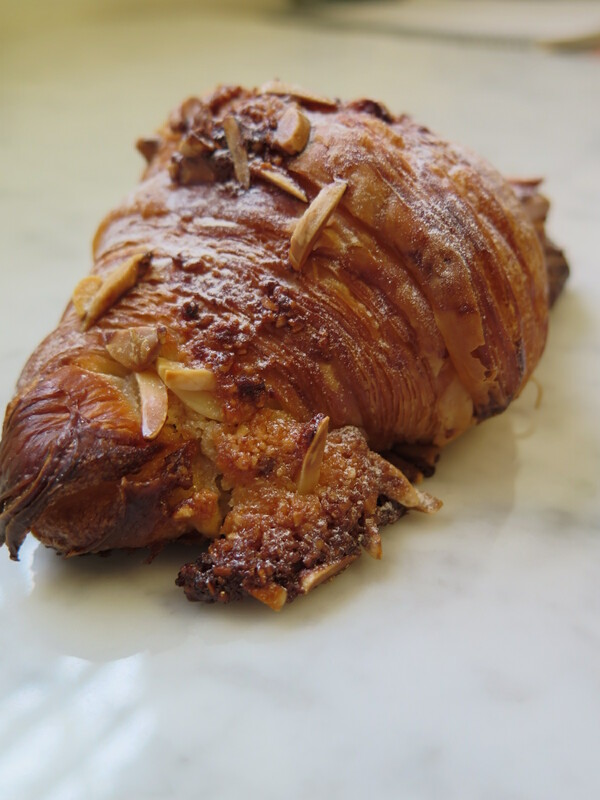 Layered with butter and an almond paste, rolled, folded, and rolled again, the almond croissant is light, flaky, and airy. Not to mention, a complete showstopper on some marble counter top. 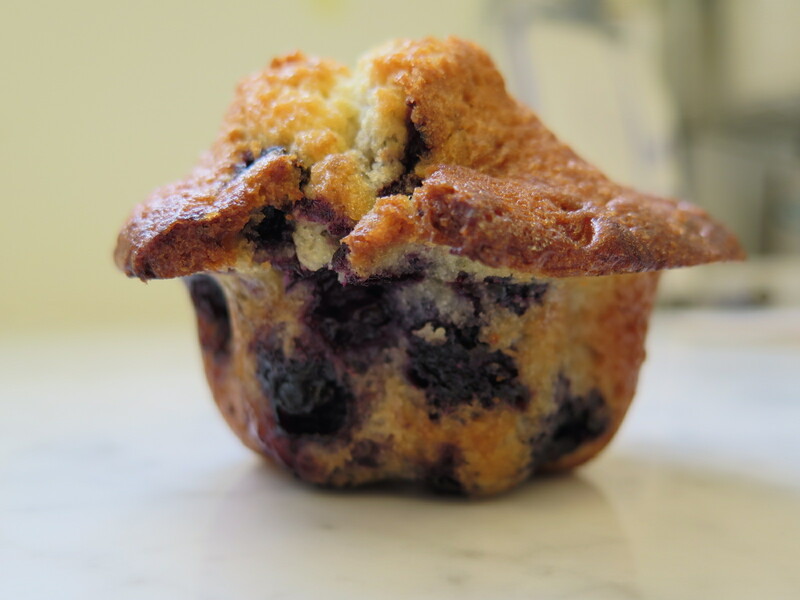 For those who enjoy fruit in their carbs as I do, it was hard to resist the scrumptious and fluffy blueberry muffin. Filled with fresh fruit and crisped for that golden buttery crust, this muffin in particular, tastes as unequivocally delicious as it looks. Each bite is filled with explosions of sweet and tart berry flavor, all encased inside a moist, buttery dough. Besides creating “Lovely” and all of their naturally photogenic baked items, Bob and Gina both have created three storefronts that are also in perfect “Lovely” harmony. In addition to their flagship on Milwaukee Avenue, Lovely, too and Bakin & Eggs were introduced to Edgewater in 2012 and have also been a huge success. Not knowing too many successful couples partnering in business, especially in the hospitality world, Bob & Gina’s story was intriguing and sweet (all pun). As an inspiration for other couples, I had the true pleasure of meeting Bob & Gina to pick their brains on their growing success, but best of all, their Love(lys). What are the struggles of working with your partner and what have you found to be the easiest? The biggest struggle we face is probably striking a balance between all of our loves. As we have grown the businesses, we have found that the amount of work can easily consume all of our time. When you are married to your business partner, you have to be careful to honor the boundaries of work and personal time. We don’t take this reality for granted and often acknowledge it when we have to tip the scales a little out of balance. The easiest thing about working together is finding the motivation to go to work everyday. The businesses have been a part of our relationship pretty much since the beginning and we love them, and each other, so much, that we naturally want to work hard, mature, and protect them with everything we have. What has been the most difficult thing since beginning Lovely? The most difficult thing we have encountered is growth. We can look back at opening two additional locations, the addition of daily wholesale delivery, and some other projects we have taken on and easily identify the extra challenges we faced. Being a legit power couple, how do you make time for each other – outside of Lovely? Very purposefully. We made a commitment to each other from the start, that our personal relationship could never suffer because of work. While we love our businesses, we love each other more. We set boundaries for work to exist in our personal life and out personal life to exist in at work. We communicate about it regularly. In many ways, the need to be so cognizant of balance and boundaries probably makes it easier for us to not take time for granted. What advice do you have for couples that are also working together and don’t have as smooth of a partnership as you do? Communicate. You have to be able to give and take criticism. You have to be honest about your want to work together. Gina and I are successful because we both want to work together. If one of us was just doing it to make the other happy, it would never work. That said, both people must be willing to compromise. What’s in the works for the future of the Lovely empire? We are at a point now where we are trying to revisit each part of the business and maximize its potential. It takes time to understand who you are. It is important to take the stock of that and evolve. Evolution takes work too. We are excited about the internal growth we have planned for each location.